Welcome to Job Placement with Supported Employment for TANF recipients. Trading Places Foundation wants to continue to assist in helping Georgia lead the nation in their work participation rate of helping individuals, transition from TANF to self-sufficiency. We are a company with experienced staff with an outstanding record of providing life skills training, job placement, job readiness training, and case management services to TANF consumers. What is supported employment? Traditionally supportive employment facilitates competitive work in integrated work settings for individuals with the most severe disabilities who need ongoing support services in order to perform their job. Recent studies indicate the provision of on-going support services for people with severe disabilities significantly increases their rates for employment retention. The experienced staff of Trading Places Foundation endeavors to take that approach with the TANF population. The benefit of supported employment for TANF customers is to provide ongoing support that may be needed to assure success for job retention. Our staff will provide job development training and on-site training to assist employees with adjusting to the work environment and the day-to-day and month-to-month challenges that they experience when starting work. We will bring a breath of fresh air in the job market for the TANF recipients by combining old-fashioned values, hard work, and going the extra mile. We will provide quality and performance results. 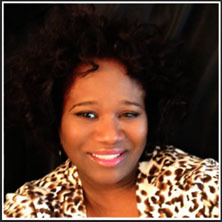 Trading Places Foundation president is a member of the National Association of Professional Women. · Dress for Success (DFS) - The mission of Dress for Success Atlanta is to promote the economic independence of disadvantaged women by providing professional attire, a network of support and the career development tools to help women thrive in work and in life. · Partnership Against Domestic Violence (PADV) - Supporting women and their children in their efforts to live violence free. · The Fatherless Generation - Reuniting fathers and their children by providing the resources and services that strengthen, support, and sustain the growth of family values and relationships. · Crowned for Victory - Seek to enhance, restore, and strengthen the whole family unit within distressed neighborhoods and rural areas of the country. An empowering organization that will mentor, educate and provide communities with the tools necessary to eliminate barriers. We will provide accessibility to services that will increase their opportunities of forming and sustaining healthy communities. · Federal Bonding program - The Purpose of the Bonding Program is: To assist ex- offenders and other at-risk persons with questionable backgrounds secure jobs. · Georgia Department of Labor - We will leverage resources available in surrounding communities where we operate to provide services that address consumer’s barriers to employment. · Furniture Bank of Metro Atlanta - Provides essential household furniture to individuals and families moving out of homelessness, battling HIV/AIDS, and fleeing domestic violence.